Add flair and style to a sliding shower enclosure door! You may not think a simple change could significantly change the look and feel of the unit, but the S-curve adds a dash of personality and pizzazz. Glass: While the S-Curve is available in our full range of 1/4” or 3/8” glass patterns, from clear to our luxurious Venetian Cast Glass, for the most dramatic effect, we recommend using clear glass which highlights the edge. 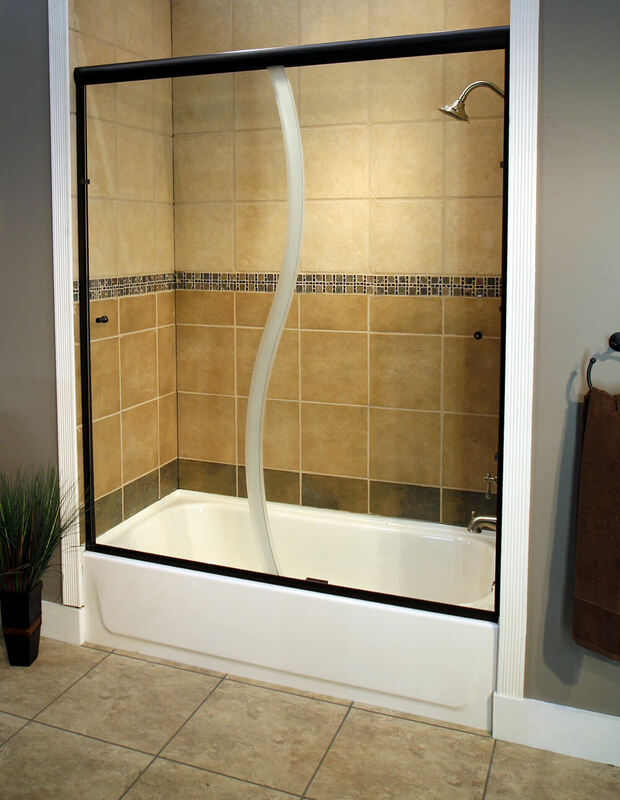 While possibly unavailable for S-curve systems, see all glass options here. Finishes: While possibly unavailable for S-curve glass systems, see samples of finishes. Hardware: While possibly unavailable for S-curve glass systems, see a master list of examples of headers, pulls, towel bars, and knobs here. Options: Please note that the glass will overlap anywhere from 1" to 3". Available with custom etching to highlight the curve.